We recently completed the purchase of a wonderful home in the Windermere area with Dan's expert guidance. We have moved five times in the last ten years, and our experience with Dan stands out as exemplary. His knowledge of the area was superb, and he was very conscientious about aligning to our priorities. Dan became more of a trusted advisor than an agent for a sale. He advocated for us favorably during negotiations and closing was hassle free. We would highly recommend him and work with him again without reservation! Super thanks for all!! So glad its over and still can't believe it sold so fast!! That same size house in the same subdivision didn't even sell yet!!!! Amazing job!! Thanks for all the amazing support and technical help throughout this very long and complex process. You two have been amazing to work with and gracious advocates for all our needs - including emotional ones! Thank you very much Dan & Shawan!!! Archie & I wanted to say how impressed we have been all through the process working with you. You are the best out there and I don't think anyone cared more than you for what we were really looking when we wanted to a buy a house. You made sure that we were not just buying a house but a place that we can call a home. You guys are professional, competent, responsible, and above all care for your clients. Also, thank you for a professional home selling experience. Follow ups were thorough and your constant communication and attention to every detail made the process simple and easy from beginning to end. We can't thank you enough for the hassle free experience and we would only go with you for any future transactions. You have our highest recommendations. Dan really outdid himself to get us our dream house! In the beginning, he helped us narrow down exactly what we were looking for and saved us time from looking at houses that didn't meet our requirements, although they looked good online. Finally, we found the perfect house and got it under contract. Unfortunately, our prior home that was under contract fell through. That is when Dan really came through for us. Our only option at that point was to do a lease option. The Seller wanted much more down than we were willing to put up and I thought the deal was over but Dan with his expert negotiating skills was able to come up with a structure that got both sides what they needed. Dan truly went the extra mile and if it weren't for him, we certainly would not have gotten our house! Thank you from the bottom of our hearts, Dan! Bonnie and I wanted to reach out and thank you for a great job! You found us our dream house and sold our home for a good price. It was a pleasure working with you. Let's stay in touch and feel free to use us as a reference anytime. On behalf of Mona and myself I would like to thank you and Shawan so much for everything you have done. "WOW! Make sure and let Dan know that he was right, I didn't recognize the inside of our house. Rudy said to tell you that we will buy it from ourselves! LOL. I wish that other realtors had the high level of professionalism that you both show. We have looked at other houses on the MLS and the pictures are awful. Tell Dan he should have seminars on taking photos for listings and how important it is." Thank you both so much. Wonderful job. We would like to share our comments regarding the recent purchase of our home in FL and our complete satisfaction with Dan and Shawan Pettigrew of Sterling Chase Realty. While there are some obstacles in purchasing a home while residing in another state, the level of service from Dan and Shawan was superb and we were able to overcome the obstacles fairly easily. They were most responsive to our needs and kept us apprised every step of the way through emails and phone calls. When we were in town for the contracting and final closing, Dan and Shawan made sure that all of our needs and schedules were their top priority. They were also most helpful in recommending high quality people for services that we needed, such as mortgage lenders, home inspectors, surveyors and barn builders; of which we are most pleased with the ones that we used. 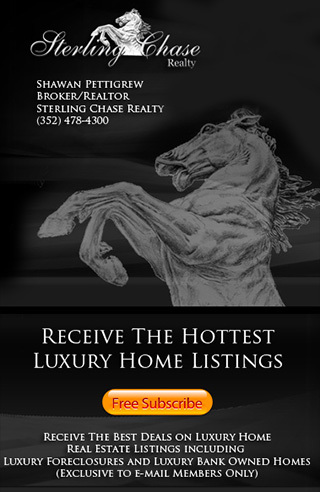 In short, we are extremely pleased with the level of service provided by Sterling Chase Realty and would certainly recommend them to anyone. "We were very happy with the work that you did to sell our home. From our very first experience with you we could tell that you guys were a cut above the rest. The pictures that Dan took and put on your website were awesome. They really made our place look great, gave our home a lot of attention and more importantly a lot of showings. We also appreciate the great tips to help us get the place ready to show. Your close communications with us on the showings and providing us with timely input from potential customers was also very much appreciated during this emotional time. In the end you guys worked hard to work out a deal for us even when it looked like we were too far apart to make a happen. 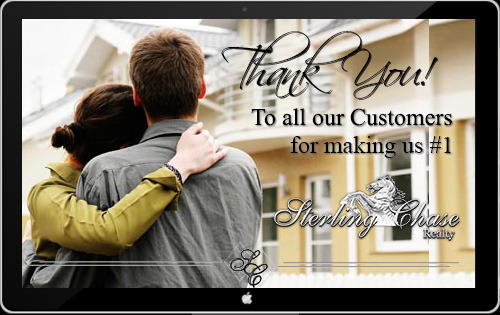 We couldn't be more pleased with your part in helping us sell our home!" Thank for everything you two did for us on the sale of our home and helping us find our new one! You all are awesome!!! You make a great team and were such a blessing to our family! We love our new home, the property and our new pony!! Just wanted to follow up and thank you both for a great transaction. You two are an awesome team and it truly was my pleasure to work with you. The Buyers are extremely happy and I hope the sellers are as well. I'm looking forward to working with you both again in the near future.